From El Questro it wasn’t long before we made it back onto the bitumen and turned right, our destination for today was Purnululu National Park. Purnululu actually translates to mean sandstone in the local Kija Indigenous language, a much more appropriate name than the Bungle Bungles, I think anyway. 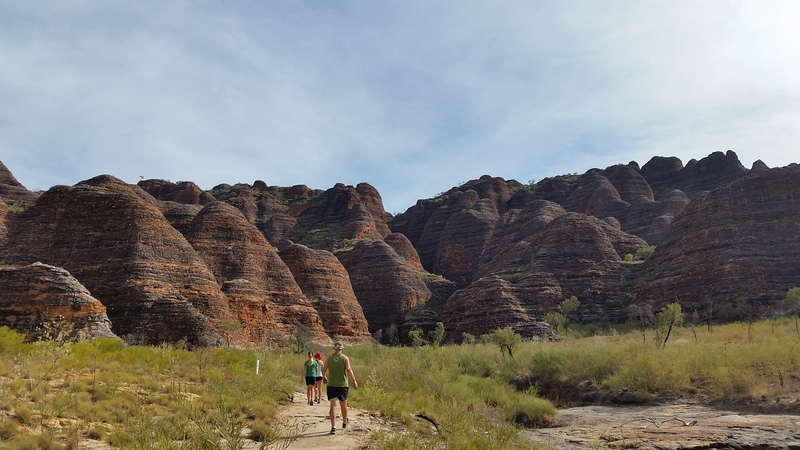 Purnululu National Park was officially declared a World Heritage Listed Area back in 2003 and is considered one of the Australia’s greatest natural wonders, alongside Uluru and the Great Barrier Reef. We reached the Bungle Bungles Caravan Park, which is located just off the highway, about 1pm and dropped our van in the storage area, as dual axle vans are not permitted into the national park. The heavily corrugated windy rough 54km road in took us about an hour and a half to drive and we finally arrived at our campground at about 3pm. We had booked online earlier that day and camped at Walardi campsite, situated at the southern end of the park, closer to the huge beehive domes and Cathedral Gorge. We then spent the rest of the afternoon setting up, relaxing and planning the next day before it got dark at 5:30 and then we were all tucked up in the tent by 7:30, however it felt like after midnight. Camp set up at Purnululu NP. The next day we were up with the sparrows and had eaten and packed up well before 8am, ready for a big day exploring. 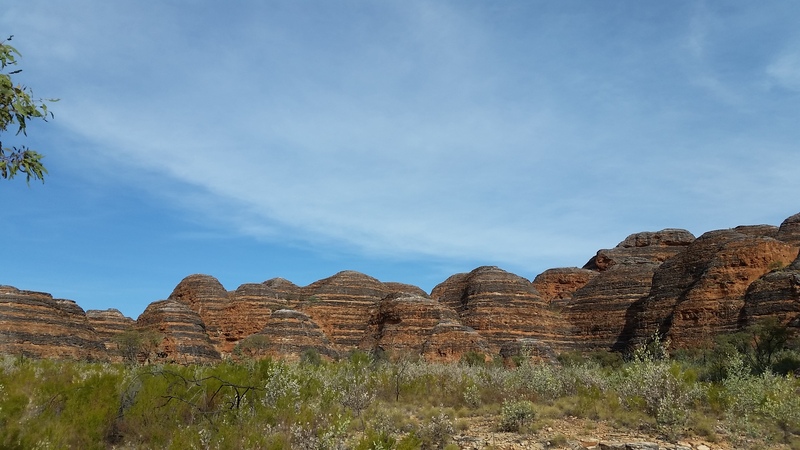 First up was a drive 15km down the road to the Cathedral Gorge carpark, this end of the park is home to the amazing sandstone bee hive shaped domes. The domes were apparently rounded over after millions of years of erosion, with the distinguishing stripes occurring as a result of a type of algae and iron oxide being present on the sandstone. 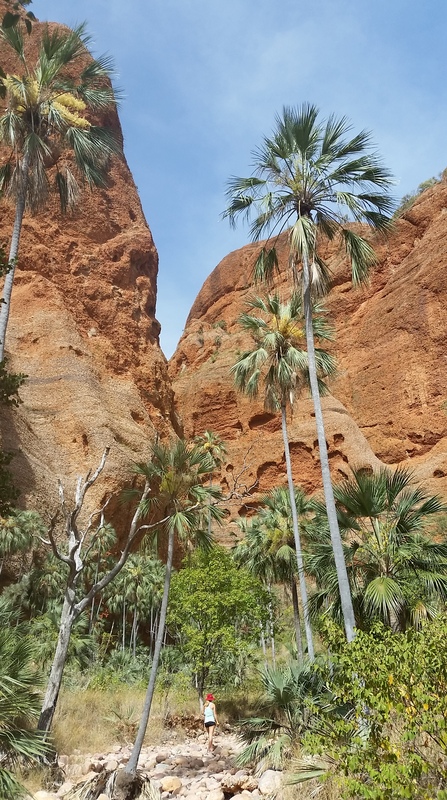 The short hike along the domes and into Cathedral Gorge only took us about 15 minutes, however it was a little hard as it was mostly along the very sandy dry shallow creek bed, a bit like walking along the soft sand of the beach for a few km’s. 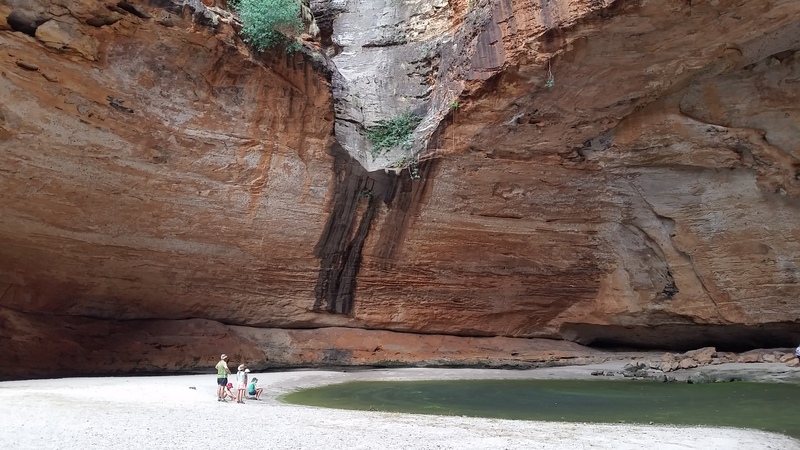 The creek bed then meandered and snaked its way into the domes ending up at an amazing gorge with a vast high cathedral like roof, giving it an amphitheatre appearance and also its name. Whilst the small amount of water at the end of the gorge was very stagnant and manky and there were also quite a few people starting to congregate in there, the place had a very peaceful feeling about it. We all had wandered off into different parts of the gorge to try and get our own personal perspectives on it. I had found a comfortable rock away from the crowds to perch myself on, laid back and gazed up to the high roof above, studying all the nooks and crevices within the rock walls and ‘ceiling’, this place was interesting to say the least, so many places where hidden animals could be, so much untold history and stories that we could only imagine. Such was the feeling of the place that many of the 50 or so people that were also there were whispering in hushed tones, no one game to speak out loud in case they disturbed the sleeping spirits. 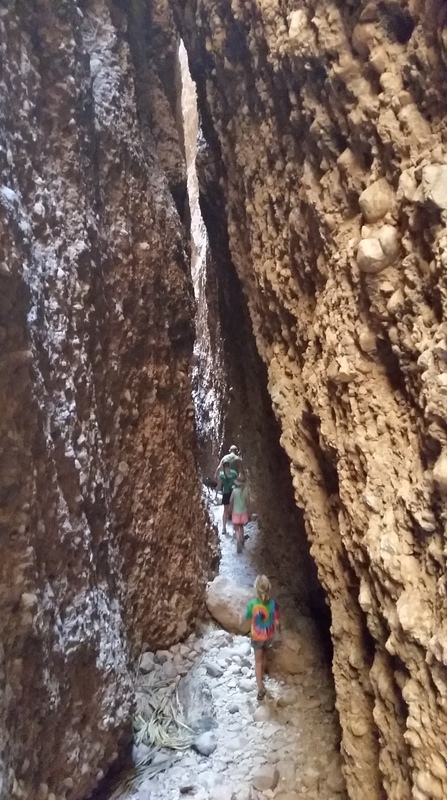 The walk into Cathedral Gorge. As we were walking out of the gorge we passed at least another 60 people heading in along the track and as we reached the car park we counted at least 6 tour buses, god what a crowded nightmare, needless to say we made a hasty retreat and prayed they would be fair way behind us for the rest of the day. 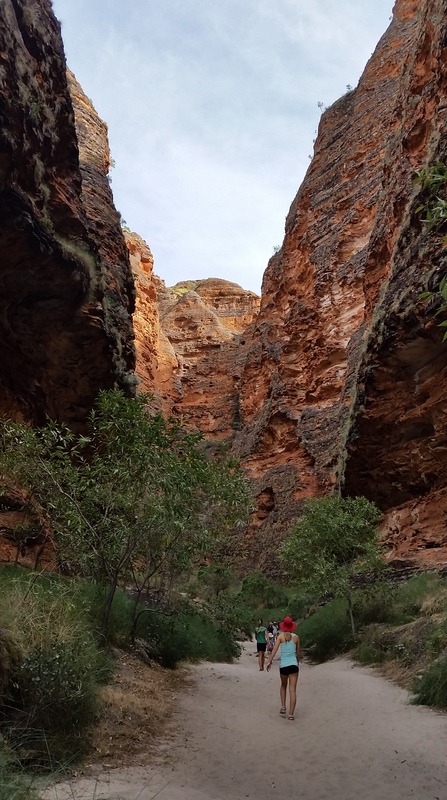 Our next stop was approximately 45km towards the northern end of the park to view the stunning Echidna Chasm. 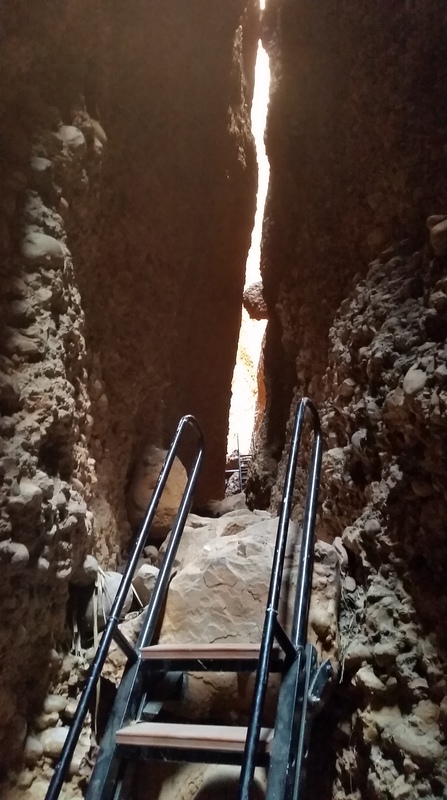 The brochures advise being in the chasm at around lunch time as this was when the midday sun shone directly into the chasm. So conveniently we arrived just before lunch, loaded up our water bottles and headed in for the short hike. The walk took us through a palm lined dry creek bed, this time the walk was hard due to the rock hopping required and careful concentration needed to not fall and twist our ankles on any loose rocks. From the perspective of the kids the walk took us into a huge ‘crack’ in the rock that had been formed a very long time ago and as a result of thousands and millions of years of water, weather and erosion the crack had progressively gotten bigger and bigger, towered on each side by the huge sheered 100m cliffs of said rock. 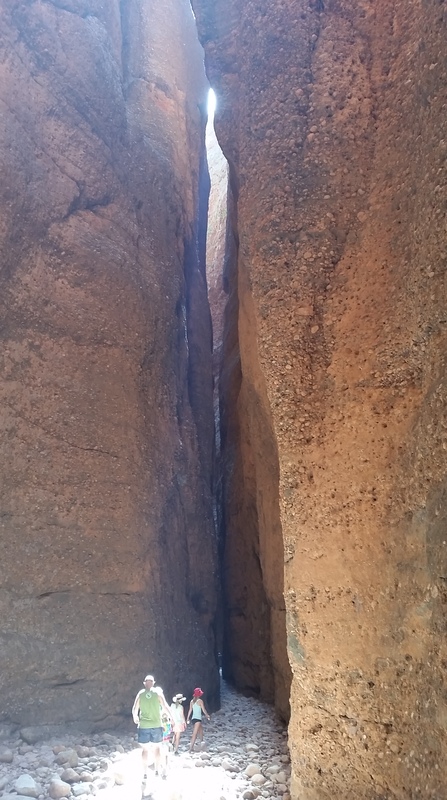 The ‘crack’ progresses about 1km into the ranges and finishes at the Echidna Chasm, where in some areas the width of the crack is only an arms width apart. As we had unwittingly timed it so well we were there right on midday and were lucky enough to experience it in all its glory. The midday sun shining into the chasm, lighting it up and giving it an almost mystical surreal feel, however after we took a few photos and had fun scrambling up and down a few ladders and boulders, we started to head back out as quite a few people were starting to come in and it felt like it was getting quite crowded, more importantly though our tummies were rumbling…. 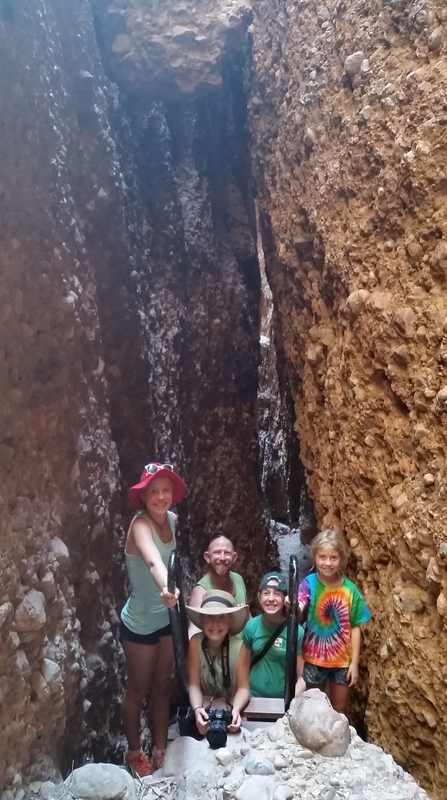 The walk into Echidna Chasm. 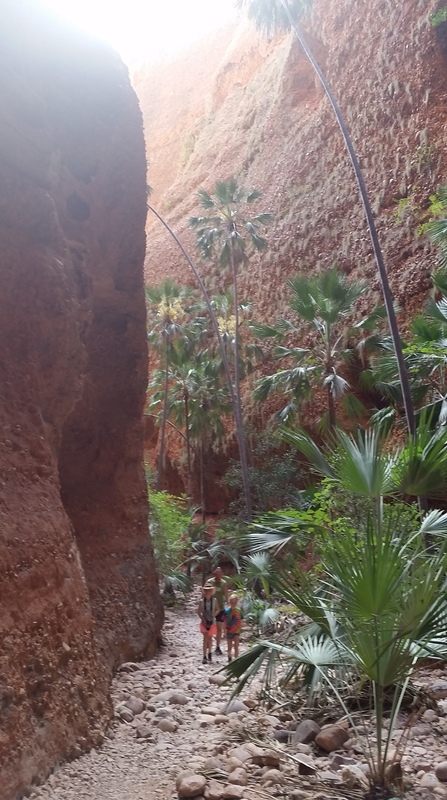 The palm lined entrance to the chasm. Climbing the ladder to reach the end of the chasm. The view into the chasm. The awesome sight of the sunlight shining into the chasm at lunchtime. 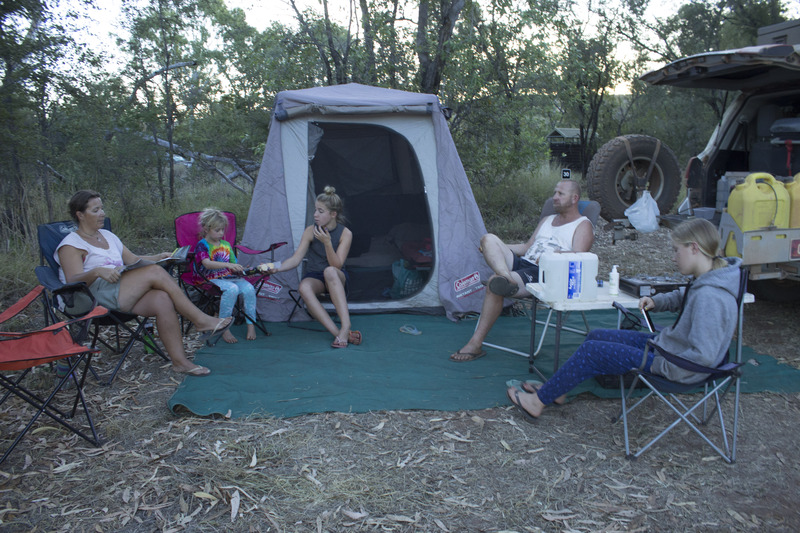 After we had eaten our lunch we then began the long corrugated drive back out of the national park and back to the van at the caravan park, where we set up for the night and watched an amazing sunset and had a well-deserved hot shower. Our trip into Purnululu was a quick one as we were on a tight schedule to be back in Broome to meet up with friends and also the fact that we literally had no food left…… However, we enjoyed our short time here, although the kids were a little disappointed at the lack of swimming, especially after our awesome time on the Gibb. We were lucky enough to admire the beauty of the park and as usual were in awe of mother nature and what she had created and then had graciously chosen to leave for us to ponder and wonder just exactly how? Visiting places like this always has us asking each other what other amazing treasures lay within this park that we are not permitted to visit or see, I suppose we will never know………. 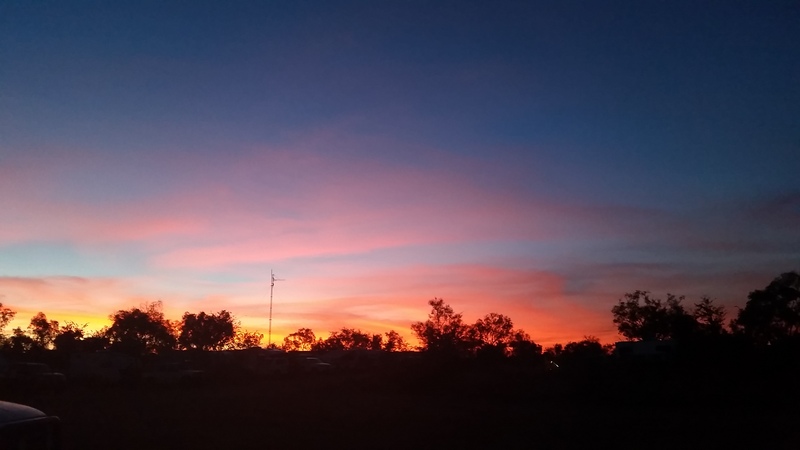 So with Broome now in our sights we were eager and excited to head towards our next destination and adventure on our OZLAP…….. The walk into the beehive domes. Sunset back at the caravan park. Previous Previous post: The Gibb River Road, part three, Western Australia.